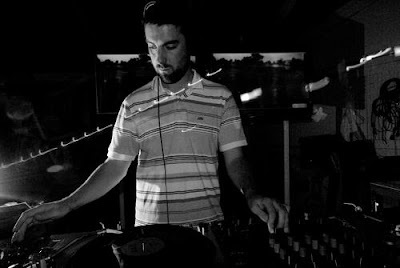 Within weeks of one another, Hotflush Recordings’ Scuba and 3024’s Martyn recently released mix-CDs sponsored by prominent dance clubs overseas. Each took a unique stance on the best tunes dubstep currently has to offer, so we pitted the two against each other. Together, they stand testament to dubstep’s endless permutations. Like his marathon Sub:Stance sets at Berghain, the Berlin techno club that gave rise to the Ostgut Ton label, Scuba begins with a pre-peak-time-hours feel; a muffled bass ambience and a distorted mélange of broken glass and hand-clap samples greet us at the outset. This tapestry of eerie bar sounds slowly morphs into the potent dubstep rhythms that preside over the remainder of the mix. It’s in large part thanks to London expat Scuba, a.k.a. 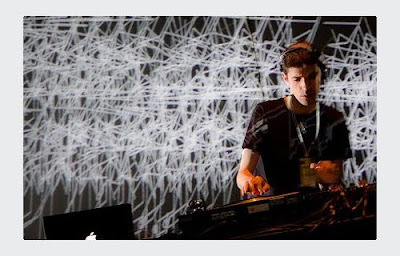 Paul Rose, that dubstep has seen an integration into Germany’s techno-dominated club scene. While many of the songs featured here come from London-based artists, dubstep’s increased prominence on the international stage is taking the genre in complex and exciting new directions. Producers like Joy Orbison, Pangaea and Untold—who all make contributions here—marry the genre’s U.K. roots with German minimal and the downtempo sounds of Vienna, Austria. In one three-song stretch, our ears are massaged by the floor-creak beat of “Anlan 7” by Israeli dub experimentalist Badawi. That gives way to the cinematic two-step funk of Joy Orbison’s “Hyph Mngo,” one of the acclaimed dubstep cuts of 2009. From there, the fuzz and click of the James Blake remix of Mount Kimbie’s “Maybes” overtakes Orbison’s brightness, bringing the mix closer to Rhythm and Sound territory. Scuba’s deft hand at the mixer often leaves us wondering when one track ends and another begins. His fluid mix maintains a minimal aesthetic throughout, yet manages to veer from airy chill-out to the stark, urban productions that first inspired the genre. He even heads into left-field beats, the latest uncharted territory of grimy underground sounds that has tastemakers like Mary Anne Hobbs in a frenzy. As a snapshot of dubstep now, this mix serves as a fairly impeccable document of all that is cool with the dubstep. A Dutchman living in D.C., Martyn begins his contribution to the Fabric mix series with the circus cyberfunk of HudMo’s “Joy Fantastic.” From there on, it’s clear the two DJs are on divergent paths. Martyn’s is a much more tribal affair, filled with rigidly thumping drums, laserlike synths and the air of an island dancehall. The rhythms that start this mix more obviously nod to the “dub” in dubstep than those in Scuba’s. The Brazilian shuffle of “Bossa Boogie” by broken-beat producer Nubian Mindz is met with the Caribbean techno of Maddslinky’s “Lost on Tenori Street.” Shouts of “bad boy” and air-horn blasts join the mix on Zomby’s “Little Miss Naughty,” which gives off even more of the bashment vibe. Not that Martyn is without his techno influences. Ben Klock’s remix of “The Clock” by Deepgroove is more or less a straight techno track with a driving 4/4 bump. Martyn’s own remix of the Detachments’ “Circles” even combines British indie-punk, Clash-style guitar skank and a U.K. funky beat for a clear high point. 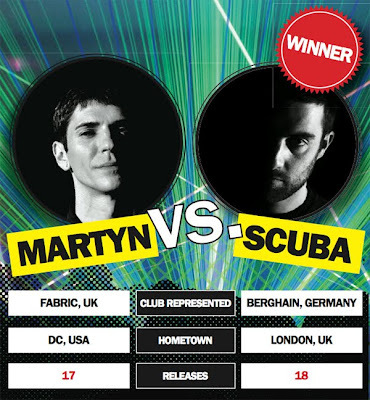 Also a precision DJ, Martyn shares Scuba’s subtle mixing touch, but in Martyn’s case it might almost be to a fault. After three listens, we still had a hard time pulling out highlights, losing track of whole sections of the monotonous mix as our mind moved on to other things. Despite the high caliber of the artists, on-point track selection and close-to-flawless mixing, we didn’t stir in anticipation of the next track. Another great portrayal of some of dubstep’s leading voices and movements, Martyn’s mix puts up a good fight but ultimately succumbs to the digital butterfly stings of Scuba’s superior mix.